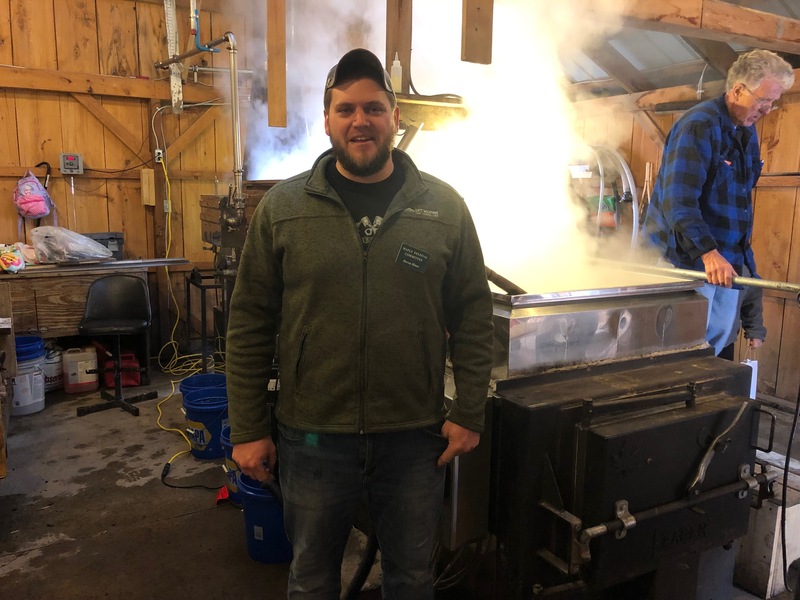 MARATHON, N.Y. — The lingering chill in the air from Friday’s rain and snow didn’t stop thousands of maple lovers from converging at the village of Marathon, a quaint town of about 2,000, for the 49th annual CNY Maple Festival. 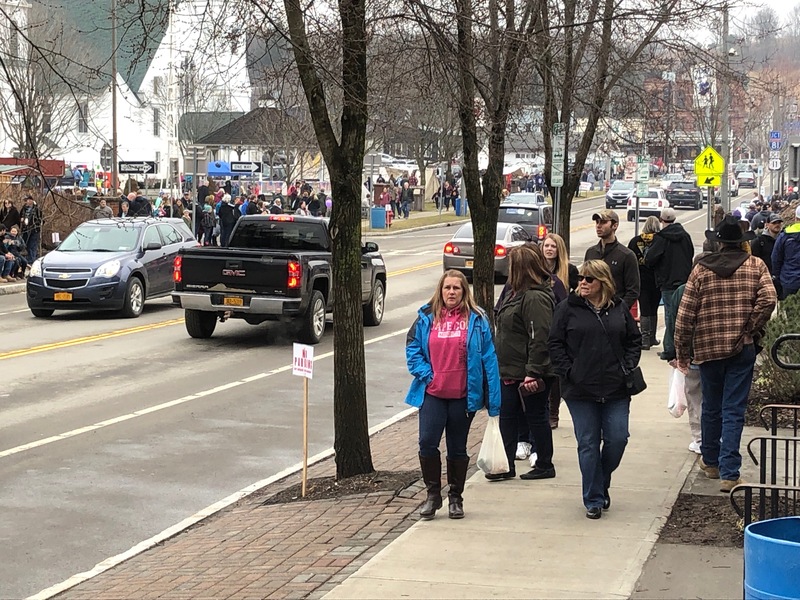 Marathon is the proud home of the CNY Maple Festival, an event that has seen its attendance grow with each passing year. There’s free entertainment on the stages and streets around the village ranging from jugglers and clowns to musicians, historical characters, and dancers. Maple food vendors park along the streets selling anything maple your heart may desire: coffee, tea, cocoa, and milkshakes; cotton candy; bacon and pulled pork; fudge and muffins; sugar candy, lollipops, and of course, maple syrup. 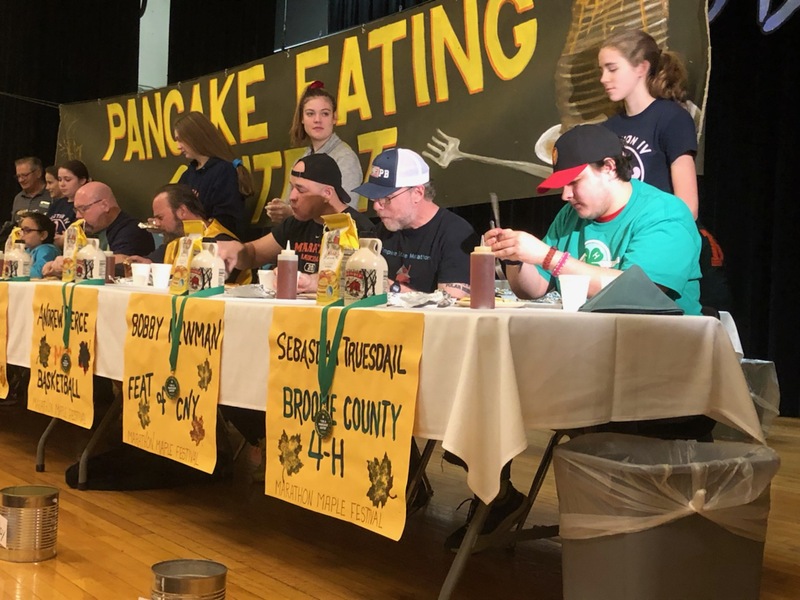 The 2019 CNY Maple Festival kicked off with the 23rd Annual Pancake Eating Contest in the auditorium of Marathon Central School. Eight contestants faced off in a 15-minute battle to see who could stuff the most griddle cakes into their gullet. Each participant raised money on behalf of various not-for-profit agencies for a combined total just short of $3,000. Additionally, the CNY Maple Festival pledged $2 per pancake eaten. Five-time returning champ earned his sixth victory in the contest and was also crowned back-to-back champion. Pancake flour for the event is provided by New Hope Mills. The Auburn company has been the sole provider of pancake flour for the entire 23-year history of the pancake eating contest. New Hope Mills started in 1823 as a grain mill and was taken over in 1947 by the Weed family. The original grain mill in New Hope, N.Y. is no longer in production but is being preserved and could possibly reopen as a museum to the public. Doug Weed, current CEO and third generation of Weeds to run the company, revealed at 2019’s pancake eating contest that New Hope Mills will be opening a café, Grindstone Café, that will serve the company’s products on Main Street in Cortland. Contestants at the pancake eating contest. Across the hall from the auditorium, officers from the Cortland County Sheriff’s Office made free child safety ID cards for Operation SAFE CHILD. The program was created in 2005 through a partnership with the NYS Sheriffs’ Association, the NYS Association of Chiefs of Police, New York State Police, and the NYPD. 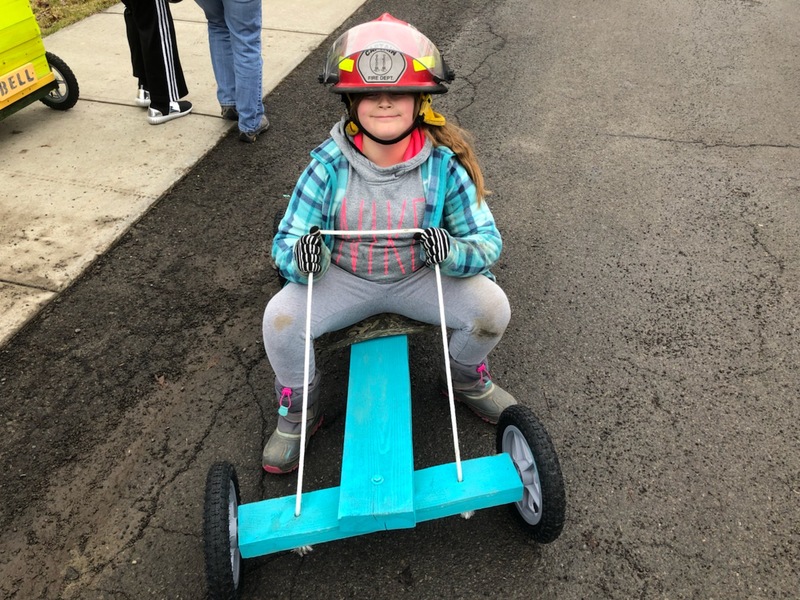 Addison Ryan, fourth grader at Marathon Elementary School, gets ready for the mobile race. 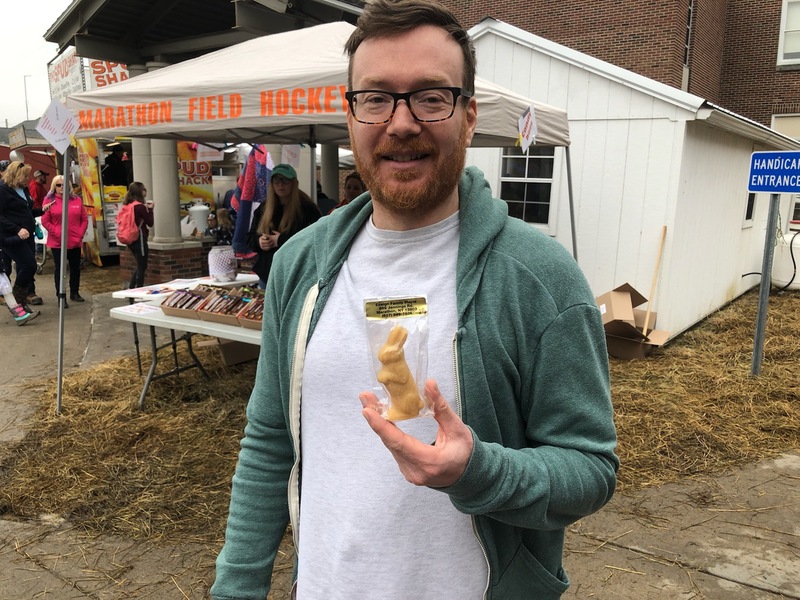 Justin Stewart, of Binghamton, with his favorite maple candy. “As soon as that thaw-freeze cycle starts to kick in—when we start to get warmer days and colder nights—that’s when we start seeing sap,” Hines said. Generally, they tap at the end of January or beginning of February, and a typical sugaring season starts in March and runs into April. Around 70gallons of sap is needed at the festival. A featured vendor from the festival is ThreeLittleBirds Pinecones, owned and run by James and Lisa Thornton of Ithaca, N.Y. The couple got the name for their business from their three young daughters, and they got the idea while living in California and working near Yosemite National Park in the Sierra Nevada mountains. The Thorntons were selling their handmade pendants from the knobcone pine which are indigenous to the mountains of southern Oregon and Baja, California. Knobcones are serotinous, meaning the cones only release seeds in response to an environmental trigger, like fire. 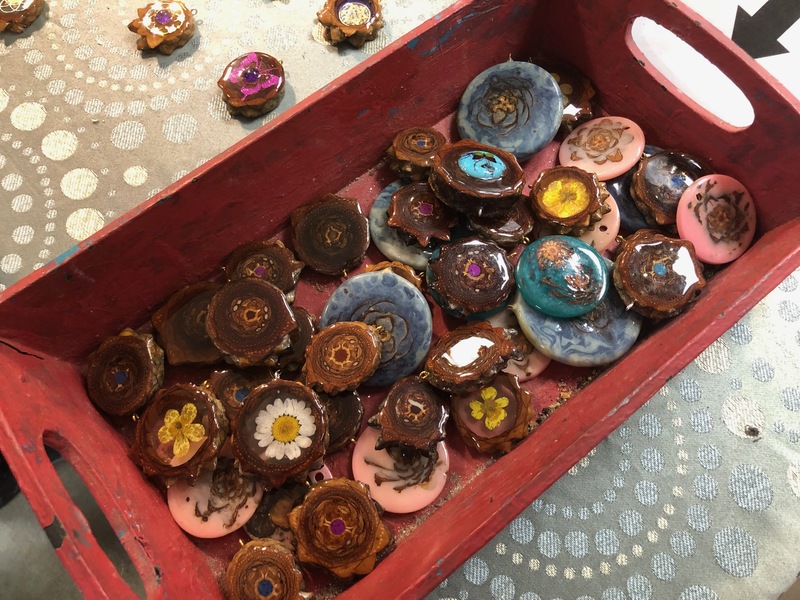 James and Lisa Thornton's decorative pinecone pendants. Dozens of other vendors were housed in various areas around the festival. There were juried craft shows in the high school gym and civic building. A used book sale is was held at the Peck Library. Dan the Snake Man could be found in the Marathon Christian Academy gym. Chainsaw carver Mark Watson held live demos on the village green. The featured live entertainment was Crown City Brass, The Mud Kickers, The Gospel Way, Melanie and the Boys, and The Flywheels.